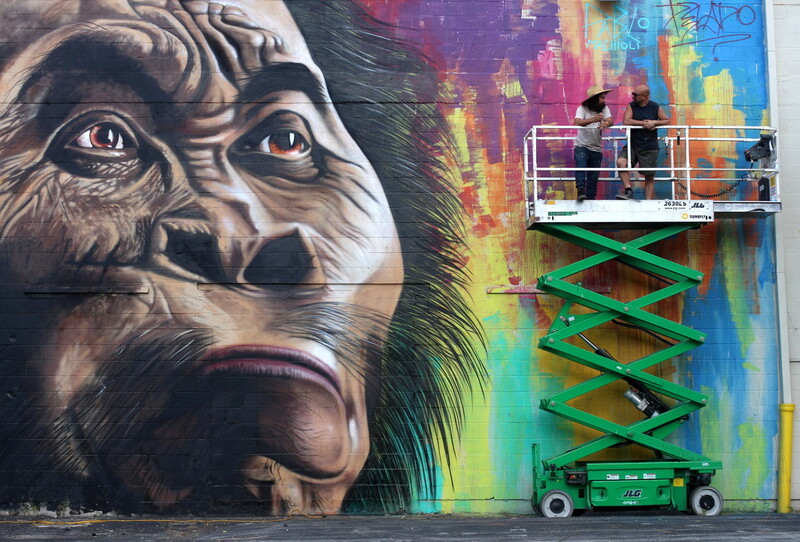 Argentine street artist Alfredo Segatori has been in the U.S.A. and teamed up with Pablo Machioli to paint this new mural featuring a prehistoric man in Baltimore, Maryland. Project was organised by Section1 Project and Buenos Aires Street Art. 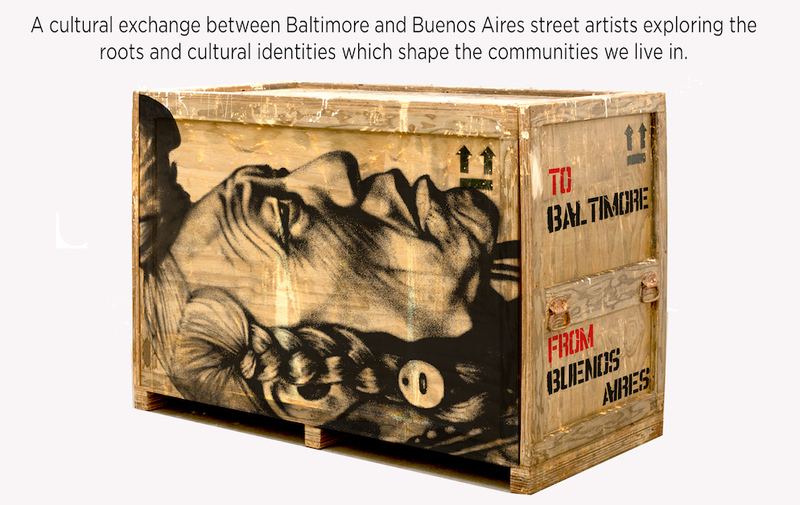 Buenos Aires Street Art is in Baltimore and is curating an exhibition this week entitled ROOTS/RAICES with Section1 and Gallery G788 that features works on canvas by both Buenos Aires and Baltimore-based street artists.